The myth of creativity that most of us are happy to continue believing is that inspiration strikes at any old time. And that all creative people have licence to be disorganized and haphazard in their living. shows research to prove that many famous artists followed consistent schedules. I’ve found that when my mornings are better organized, then I’m not scrambling from one task to another. A better start to the day ensures that I don’t fall into bed at night thinking that I’ve accomplished nothing through the day. Those are days too when I’m at my creative best. Remember my post about the first 10 minutes of the morning? It seems that some of what I’ve shared is filtering into my life. But I know I still have to be more disciplined about my mornings inorder to be more creative and productive through the day. 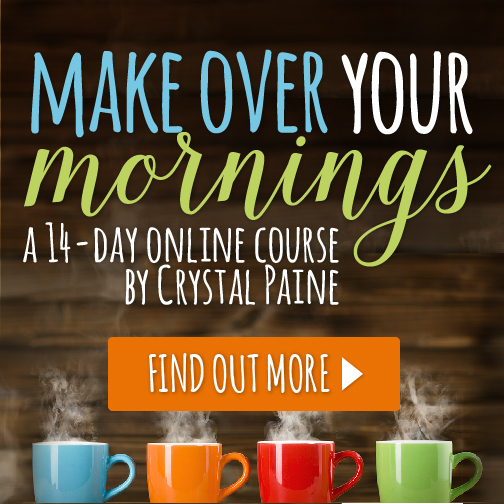 I’ve just signed up for Crystal Paine’s (of MoneySavingMom.com) Make Over Your Mornings course. It promises to help me with productivity, to streamline my days, make time to cultivate my soul and more! The course has a three-fold approach: a chapter to read, a video to watch, and a project to complete – all of which will take no more than 15 minutes! I did the first module today and am excited to continue. There’s a great offer on the course just now. So if you’re interested, go over to MakeOverYourMornings.com and get the course for yourself. I’ll keep you posted on my progress and you do likewise. Deal? I could have written the first part of your post myself Corinne. I find I am way more productive when I am organized. I look forward to seeing how the course benefits you. Deal! keep us posted on how the course goes. My mornings are mostly get up and run to work. I find that time to organize myself and my writing is when I get back from work. And that is why I don’t want to let go of that time. Ah! Parul, even though I don’t run to work anymore, I tend to plunge into the day’s activities. I’m back to setting aside 15-20 minutes to write my Morning Pages and that makes a great deal of difference to my day. my morning starts with checking my phone and surfing for first 15-20 minutes, and on a weekday the first few minutes are spent in snoozing the alarm!!! What are you morning rituals, Sacha? Would love to know. I’ll be so interested to see how this course goes for you, Corinne. Having an organized day, especially starting in the morning, always works for me! I had to chuckle when I read this because the other day I decided that my mornings are too structured and maybe I should consider slacking off a bit. My day is scheduled from the moment I wake. After reading this, I guess I was wrong and will stay with my usual plan. Agree completely! A well planned and organized morning sets the tone of the day and also boosts productivity. 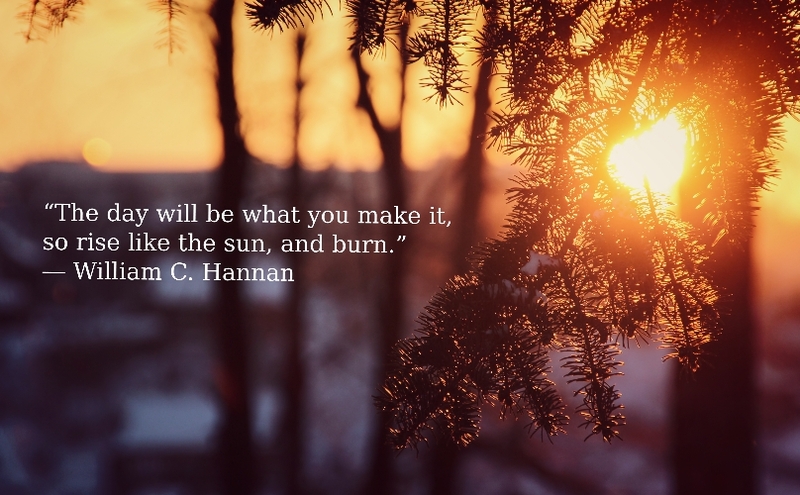 So much can be accomplished without any hassles and heart burns. I am checking out this course. Sounds great! Thanks for sharing, Corinne!